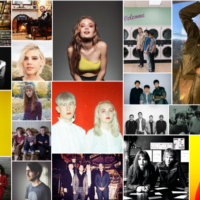 Fire up The Matinee ’18 October 26th edition to get a dose of new music that will get you off your seat. It is the weekend after all, and we’re doing our part to get the party started early. The cornucopia of musical goods continues to overflow this month. 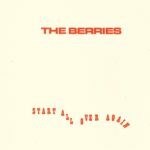 Among the many stellar new releases is an unexpected gem from Seattle indie outfit The Berries. 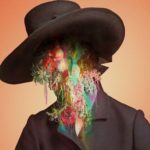 Technically the project of just one guy – Matt Berry (Big Bite, Happy Diving) – his debut album, Start All Over Again, is out today. From the first notes of opening track “Salvation”, you know this is a substantive offering you’ll have cranked all weekend. The sprawling intro hooks you instantly with guitar work that evokes My Morning Jacket. We hate to use the cliché genre label “Americana” because it’s a lazy way of describing music that straddles the line between standard alt-rock and alt-country. But the sounds from Berry’s guitar veer into the Americana realm as it sounds more like a product of the southern US than the Pacific Northwest. It’s easy to picture Berry collaborating with Steve Earle or Jason Isbell as his style both lyrical and musical mirrors theirs a bit. Bottom line: “Salvation” is full of sonic depth and offers much for music fans to savor with each listen. Start All Over Again is out today via Help Yourself Records (US/CAN) and Run For Cover Records (UK). Get your copy here and from Bandcamp. A couple of weeks ago, we first introduced to Broken Baby, the project of Amber Bollinger and rock veteran/producer Alex Dezen of The Damnwells. 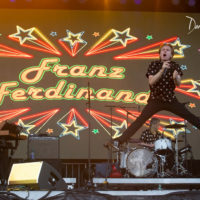 At the time, they released a firecracker of a single with “It’s My Show”, which was like hearing The Yeah Yeahs in their prime. If that song wasn’t enough to convince you that they could be the West Coast version of the famed indie disco-punk band, then maybe their latest one will. “Hello From The Other Side Of Hell No”is a groovy ear-worm with plenty of attitude, which makes it the perfect Friday tune. It’s the type of track where you just want to let your hair down, toss aside the tie or throw away the black pumps, and just let loose. Just dance like there’s no tomorrow or go skipping down Main Street with a beaming smile on your face. Dezen’s sizzling guitar guides the way, but it is Bollinger’s surging vocals that release us from our 9-to-5 chains and away from the dimwit boys who want her attention. As she asks with plenty of sass, “So you gonna tell me what you want or what?”. For us, she and Dezen have given us exactly what we want today – an anthem to welcome the weekend. “Slow Dive” is the duo’s newest track release and it’s a great one to spin on this fine Friday. CLAVVS are duo Amber Renee and Graham Marsh. We have been fans ever since discovering them in 2016. CLAVVS continue to evolve in both songwriting and production. Their newest offering has an underlying darkness woven in yet includes vibrant and upbeat tones as well. “Slow Dive” audibly represents the lyrical conflict perfectly with subtle percussion elements and laid back beats. As usual, Amber Renee’s sultry vocals immediately grab your attention and won’t let go. 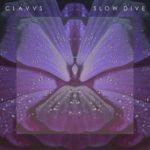 “Slow Dive” is the most recent release from CLAVVS. No word yet if this will be included in an upcoming album or EP release, but new music from the duo this year has definitely been welcome. We’re not sure about you, but we love a band that takes us way back to time. We’re not talking about 2005 or even the ’90s, but to an era when our grandparents and parents were children. To a time where we can pretend that we’re Richie Cunningham or The Fonz. 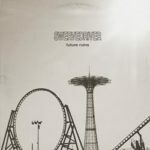 When we need a bit of nostalgia, Fascinations Grand Chorus are one of the bands we turn to for a blast of the past, which includes spinning their excellent, debut EP Actor/Actress. Or if we’re lucky, like we are today, they’ll have something new to share. “Until I Found You” is Stephanie Cupo and Andrew Pace at their very best, as they deliver one groovy and fun-loving tune. The melody has a bubblegum sweetness with the jangly guitars and the head-bopping rhythms. Cupo’s voice, meanwhile, has the distinct flavors of the ’50s and ’60s – smokey yet saccharine and utterly entrancing. Her storyline is also one from the canons of that era and a tune that would be heard at every high school dance. Her words, too, are likely to be heard during these galas, as she wants “to know if you feel the same? And I like to know is it all a game?” Hopefully, she has found someone who reciprocates her love and everyone else, too, has found their Joanie or Chachi. An emerging indie group to watch is Australian four-piece MANTELL. The sun-kissed dream rock from their debut EP, thirty-two, strikes a familiar chord with its retro influences, yet their sound remains fresh and engaging. Take the single “The City” for example: you’ll hear vocal similarities to Crowded House one moment and musical riffs that call to mind Smashing Pumpkins and Radiohead the next. Their overall tone is warm and bright – the perfect soundtrack for driving around with the top down, sunlight caressing your face. The song’s first half is mellower, so crank the last half when the guys unleash some impressive hooks on the bridge. 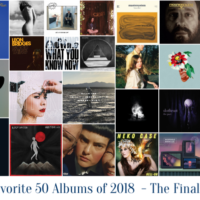 We don’t know much about this band (yet), but we suspect we – and the rest of the world – will be hearing a lot more about them in 2019 and beyond. A sound this rich will absolutely garner global attention. The thirty-two EP is available now via The A&R Department from these streaming links. MANTELL are: Sam Reader (Vocals, Guitar), Quitin Tuan (Guitar), Brayden Filippone (Bass), and Connor Tuan (Drums). Stop Light Observations is a psych-rock outfit from Charleston, South Carolina. “2 Young” is their newest track and it’s a trippy and entertaining number. The keys are a super nice touch and it’s hard not to want to move as the single explodes into a quite raucous number towards the end. Stop Light Observations is comprised of William Blackburn (vocals), John Keith Culbreth, Louis Duffie (lead guitar), Luke Withers (drums) and Will Mahoney (bass). “2 Young” is the first single released from the bands forthcoming EP which will be out sometime in 2019. Original members Adam Franklin and Jimmy Hartridge show no signs of mellowing here while Steve George (bass) and Mikey Jones (drums) further fuel the tune’s intensity. Expect to see Swervedriver added to many 2019 festival lineups, starting with a return to SXSW in the spring. Future Ruins arrives January 25 via Dangerbird Records with pre-orders here. 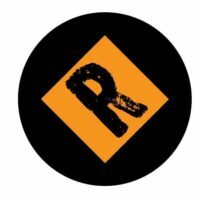 RIYL: Joan Jett and the Blackhearts, The Runaways, Black Honey. For more than three years, Chloe Van Thompson (vocals/guitar), Hannah Van Thompson (vocals/guitar), Joanne Forbes (bass), and Shaun Hood (drums) have been blowing our minds as The Van T’s. Their music can be fiery and ferocious like INHEAVEN, seismic like Jesus and The Mary Chain, or blistering yet infectious a la Joan Jett and the Blackhearts. 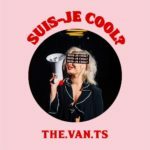 They are, in other words, one awesome rock band, and their latest single, “Suis-Je Cool?”, only confirms their greatness. Super-charged guitars wail through the air like a screaming jet fighter hitting Mach 2. The rhythms are propulsive and unrelenting, pounding on your chest like defibrillator at 240 volts. The Van Thompson sisters’ lyrics, however, are what pack the biggest punch, hammering your chin, forehead, and temple with a je ne sais quoi attitude. They may ask the other person if s/he thinks they’re cool, but they’re not looking for answer. They could give two cents for their opinion because they already know they are the coolest outfit trembling Scotland’s hallow venues. If you didn’t know about them, after spinning this song you’ll agree with their (and our) opinion. The quartet have a couple of shows coming up, and information is available right here. We’ve called YONAKA the voice of a young generation because they deliver rocking tunes that explain the angst felt by many of today’s youth. Their sophomore EP, Teach Me To Fight, was a politically- and socially-charged affair, and it was reminiscent of the fiery alt-rock of the early ’00s. 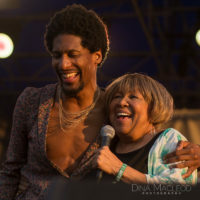 Although the quartet of Theresa Jarvis (vocals), George Edwards (guitar), Alex Crosby (bass/keys), and Robert Mason (drums) should be promoting their record non-stop, they’ve found time to drop another single. 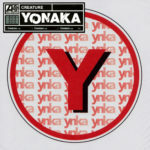 “Creature” is a flame-thrower of a rocker. It possesses everything that we admire about the London-based outfit. The music is gritty, edgy, and anthemic, causing involuntary fist-pumping, head-banging, or dancing. Or if you’re that type (and we are), unleashing your best air guitar impersonation, particularly during the cathartic bridges. Your ears, however, will continue to point in the direction of Jarvis’ searing vocals and brutally honest lyrics, as she describes how she can be a lover one moment and suddenly another entity once someone betrays her trust. As she says, “I can be your Harley Quinn”, which brilliantly depicts on she can be a loyal friend or your worst enemy. 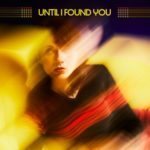 The single is out on Atlantic Records UK, who will also release the band’s second EP of the year, Creature, on November 9th.